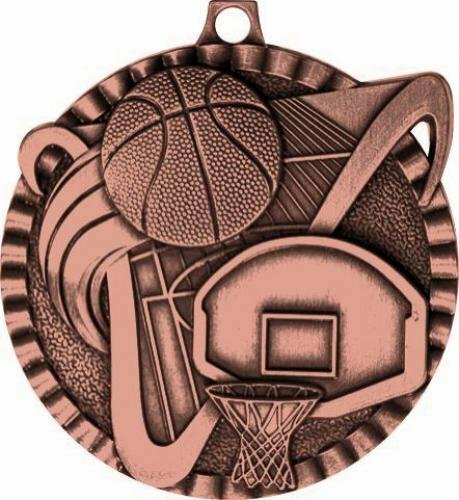 The Value Basketball Medal is economically priced and perfect for a limited budget. 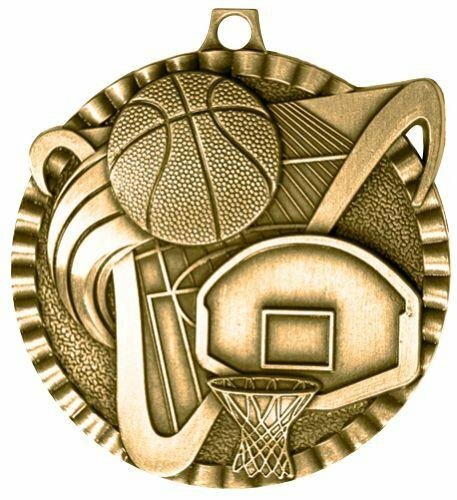 These Basketball medals look great with your choice of a either a 7/8 inch or 1.5 inch wide neck ribbon and are available in antique gold, silver and bronze. 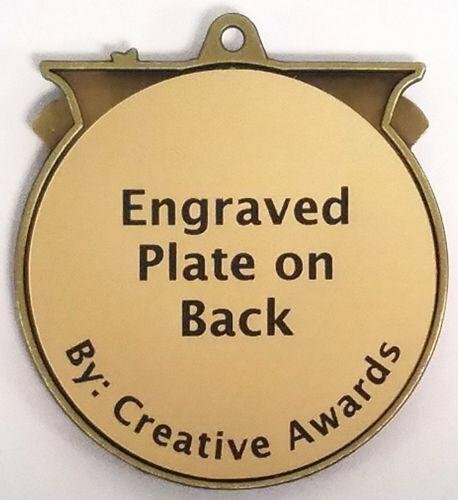 The back of these Basketball medallions have a 1.75 inch diameter space for an engraved plate that can hold up to 6 lines of engraving with 12 to 20 characters per line. The Victor Basketball Medal has a swooshed V behind the Basketball icons. 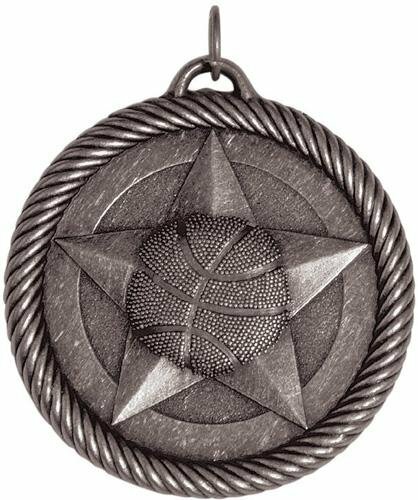 This Basketball Medallion is available in antique gold, silver and bronze. These Basketball medals look great with your choice of a either a 7/8 inch or 1.5 inch wide neck ribbon. 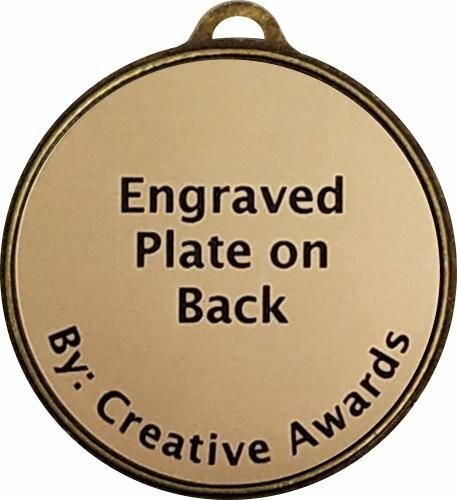 The back of these Basketball medallions have a 1.5 inch diameter space for an engraved plate that can hold up to 5 lines of engraving with 10 to 15 characters per line. 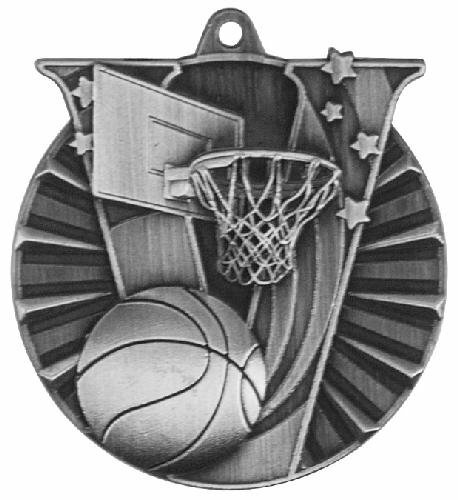 The Victory Basketball Medal has a large V with rays of sunlight in the background and a Basketball design in the center. This Basketball Medallion is available in antique gold, silver and bronze. These Basketball medals look great with your choice of a either a 7/8 inch or 1.5 inch wide neck ribbon. 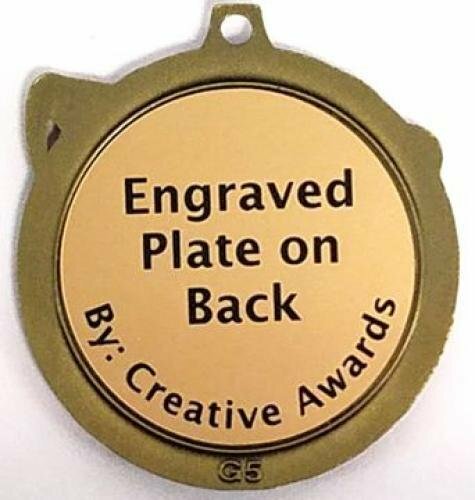 The back of these Basketball medallions have a 1.875 inch diameter space for an engraved plate that can hold up to 6 lines of engraving with 10 to 16 characters per line. The Wreath Basketball Medal has a beautifully detailed wreath edge with Basketball icons nestled inside. 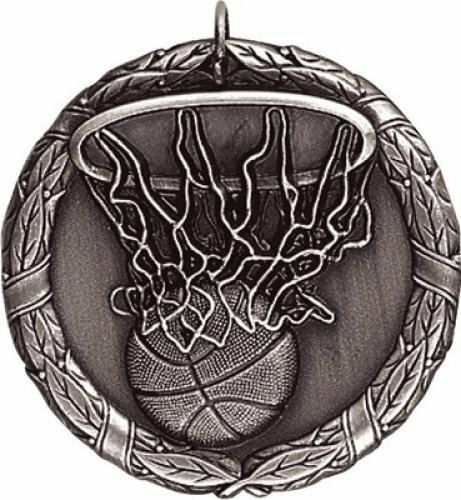 This Basketball Medallion is available in antique gold, silver and bronze. These Basketball medals look great with your choice of a either a 7/8 inch or 1.5 inch wide neck ribbon. 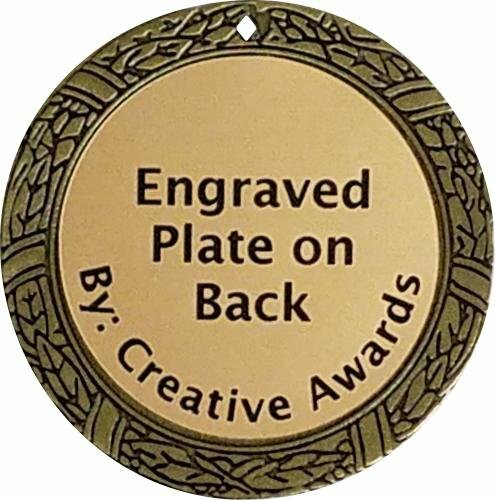 The back of these Basketball medallions have a 1.5 inch diameter space for an engraved plate that can hold up to 5 lines of engraving with 10 to 15 characters per line.